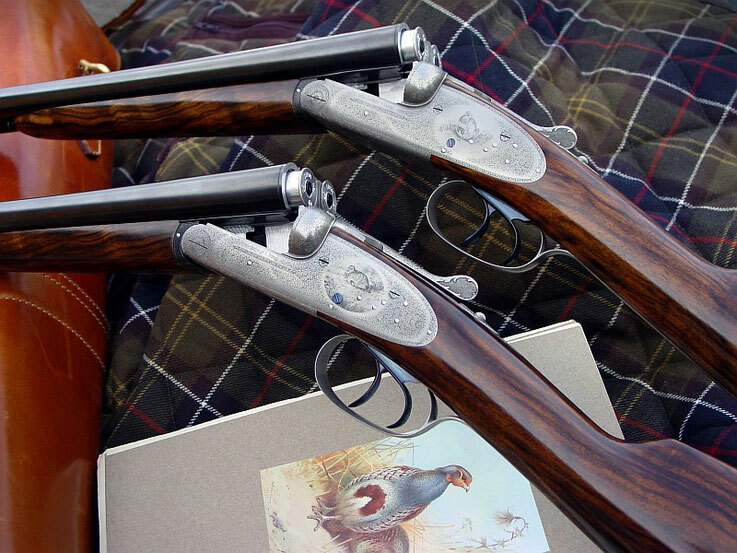 If the hunter´s eye is not pointed on his target, then it rests with pride on the fine hand engraving of his hunting rifle. A real Strolz. Sporting guns engraved in the old Austrian tradition - immortalized in shiny steel with a sure eye and a steady hand. Not obtrusive, but everlasting. This is engraver’s art on the basis of a passed down handcraft tradition - with the tools of the past, which require a very high level of skill. Martin Strolz has acquired this skill from the ground up and perfected it for over 40 years. The native Tyrolean learned his craft starting at the age of 14 in the Upper Austrian town of Steyr, where firearms manufacturing and the art of steel carving are connected in a long tradition. In addition to his own art he perfected his skills in Ferlach under Johann Singer, the Austrian top engraver of the time. He worked for the gun makers Franz Sodia and Lechner and Jungl. Steel as a media requires high skills from the engraver, but rewards this with a level of detail hardly any other material would allow for. Martin draws inspiration from the nature of the alpine scenery as well as from the visual arts in all its facets. Artwork from his hands is amongst the noblest hunting trophies a hunter could wish for. Please note that in December 2018 Strolz Handgravuren was closed. No further orders will be accepted. This webpage is for information only.